When a building is being a jerk to its surrounding neighbours, that's jerkitecture. Look at the poor little mansion next to that big, brutal, attention-seeking hotel or whatever it is. 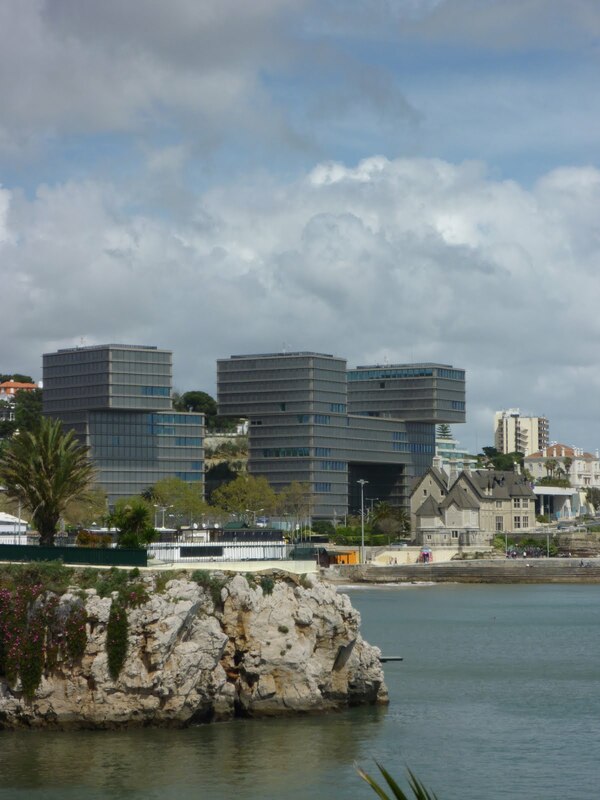 The picture was taken in Cascais, Portugal, but jerkitecture can be found almost anywhere in the world, and I expect I will be posting more of it. I haven't been able to find the name of the buildings and their architects, so if you know, please tell me. I agree with Hugo Sérgio. Maybe it is a little bit "jerkictive" for the buildings around, but you have to look for the beauty of the building, the geometry, the forms. This is one of my favourite buildings! Thanks for your comments! I never got very close to the building, so it well may be that the detailing is nice. However, don't you think it's quite important for a building to contribute positively to its surroundings, even seen from afar? And does it really deserve all the attention it's grabbing by the heavy contrasting the architect is using? Remember that nature itself uses these 15 patterns to assemble any form, through morphogenesis!